Initial Meeting: An initial meeting of up to an hour is offered free of charge. We'll take a look at your garden and discuss your requirements and style preferences. We'll talk about your budget and run through some basic construction costs. You'll also be able to peruse my portfolio. Survey and Site Analysis: Surveys start at £120. They usually take 3-4 hours to measure, assess and draw up. A third party surveyor may be needed for very large or complicated gardens. Detailed Design: Designs start at £350. 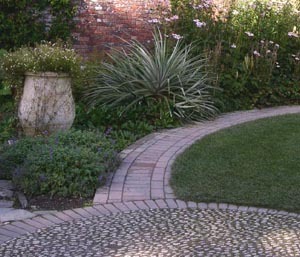 Once I have visited your garden I will provide you with a fixed price for the design. Contract and Project Management: This is charged at a percentage of the overall project cost. However, some clients are happy to project manage the build themselves and just want me to assist with the tender process. In this instance, tender documents are approximately £180. Planting Plans: These start at £120. Whereas the 'detailed design' mentioned above provides information on broad planting concepts (eg. shade tolerant planting, lavender border) and key planting such as trees and focal point shrubs, a planting plan shows the exact placement of every plant in the garden and collates a list of the quantity and size of each plant. Garden Consultation: If you're just after some ideas, but not a detailed layout design or planting plan, then I offer garden consultations at £150 for a 2 hour meeting and a written report providing some basic design suggestions and planting possibilities.